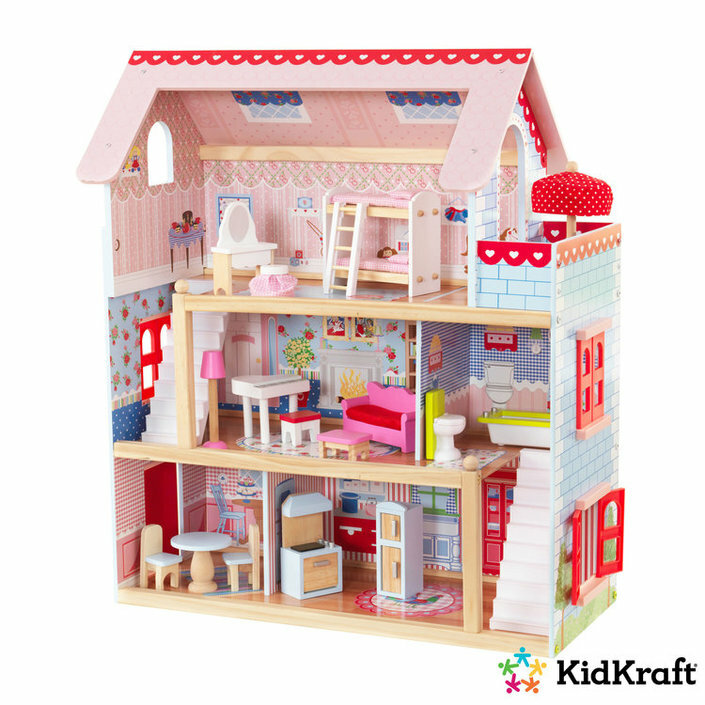 The Kidkraft Dollhouse Chelsea is temporarily sold out. 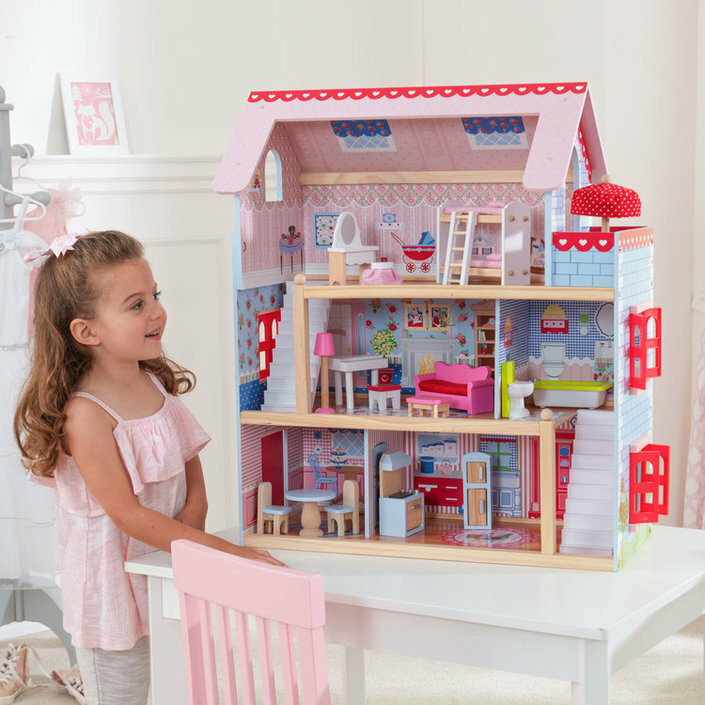 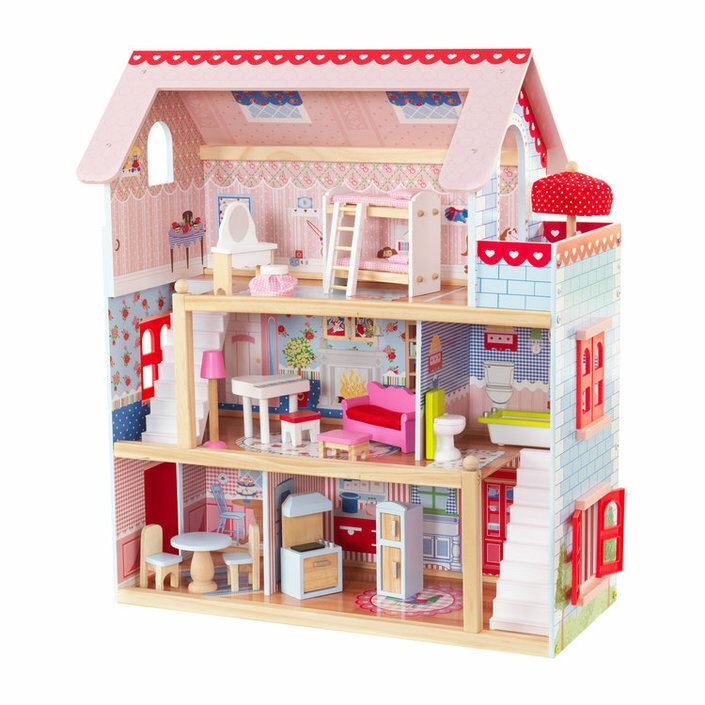 The beautiful and interactive Chelsea dollhouse of KidKraft is over 60 centimeters high and has three floors with five rooms to discover while playing. 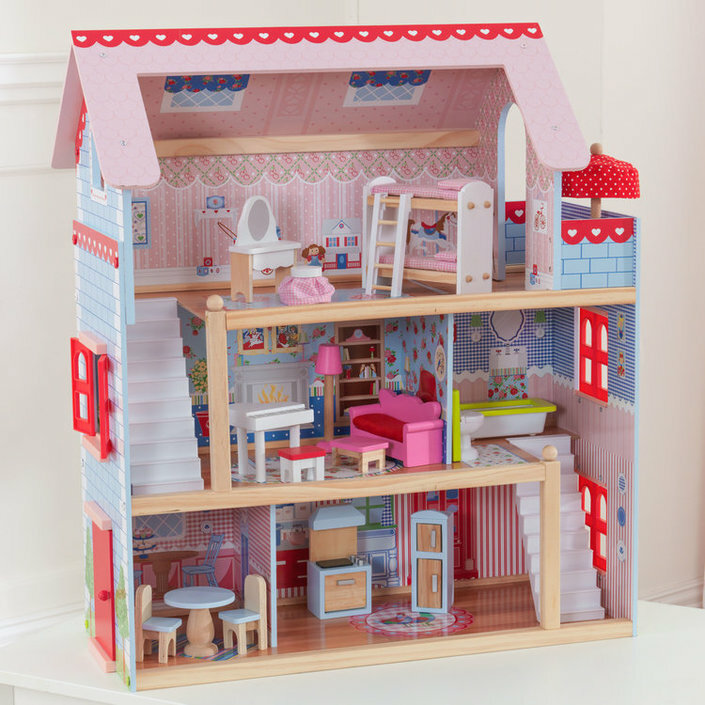 This dollhouse has opening windows, two stairs and detailed decorations on all walls. 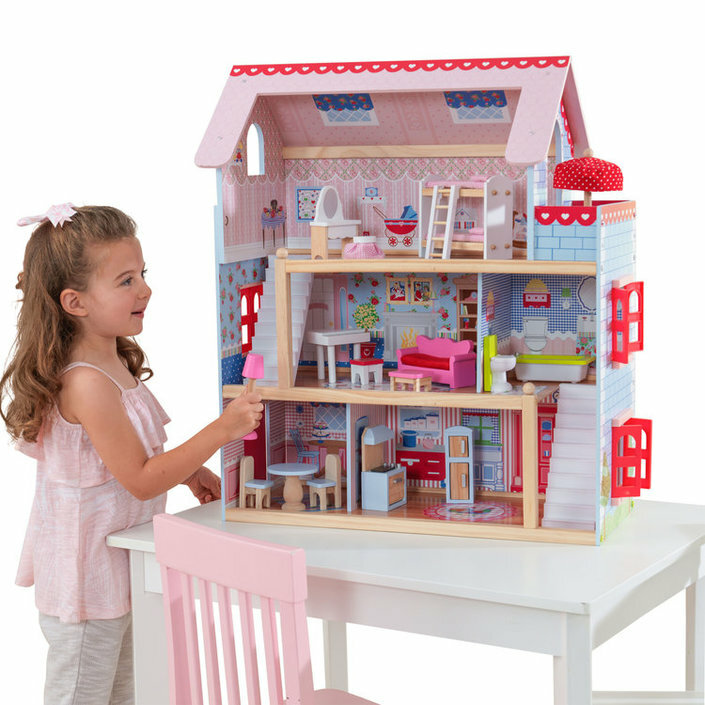 With the included 16-piece furniture set, your children have lots of fun with decorating and playing with the dollhouse. 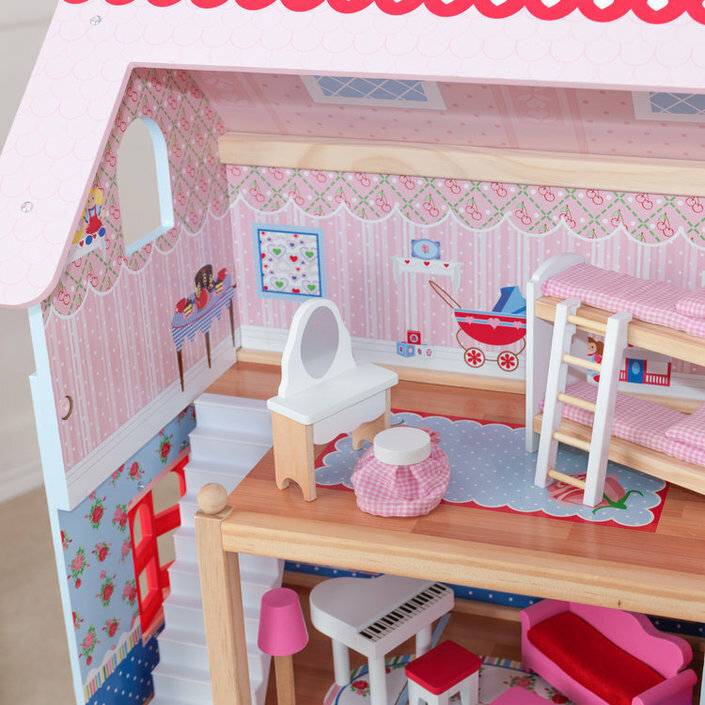 They probably find the best place for the bunk bed in the nursery or the piano in the living room. 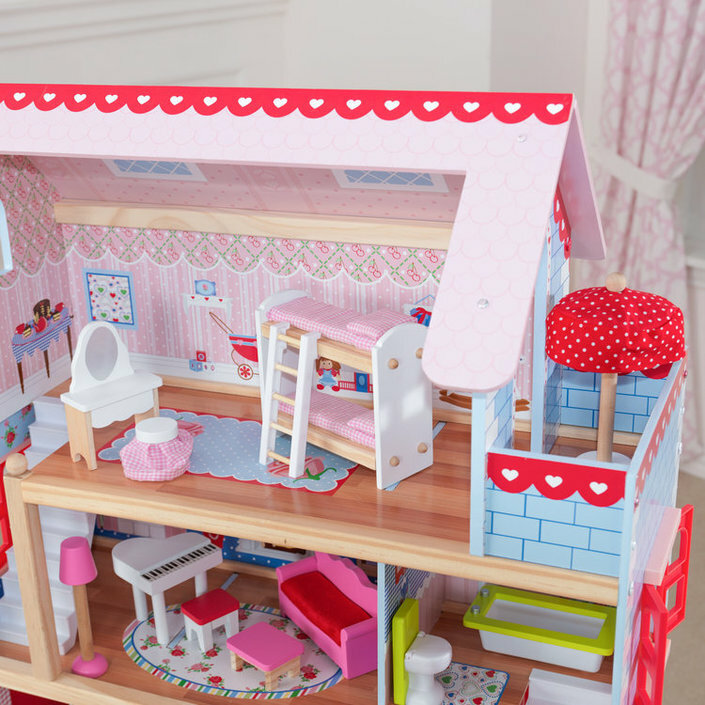 This dollhouse is ideal for dolls of 12 centimeters. 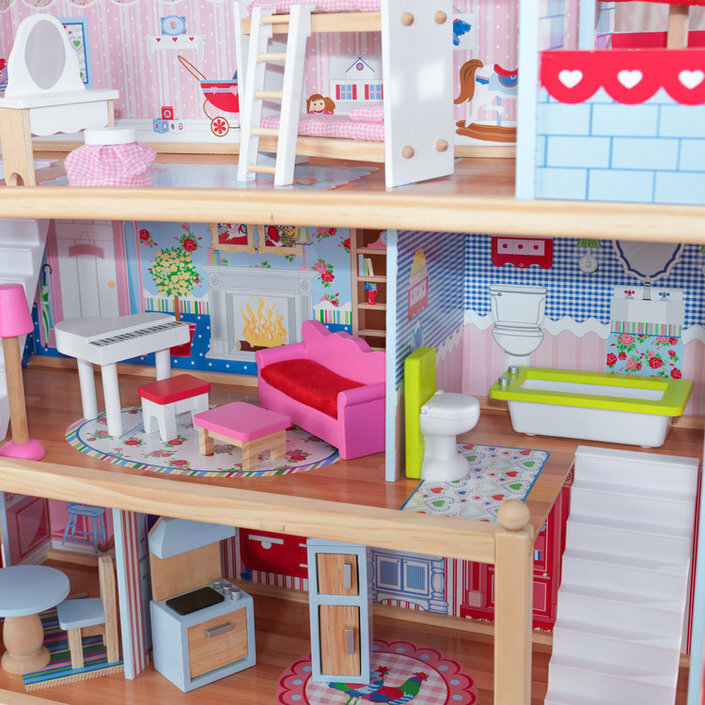 The product was what I expected. 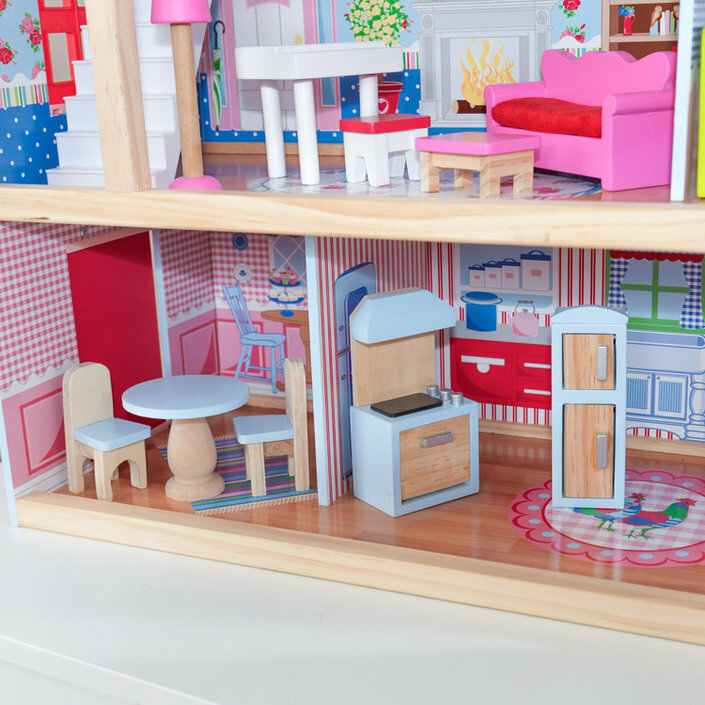 My daughter is loving her doll house.